High performance coolers that keep their cool when the temperature get hot. At the backyard barbecue, on the worksite, at the beach, on your camping or fishing trip, you just can’t get by without them. 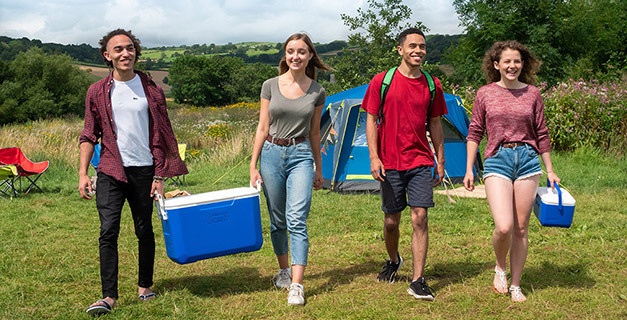 Whether you need a chest, personal or wheeled; you can count on Coleman® products to keep your food and drinks cold. Our chest coolers have enough room to hold 2-litre bottles upright, specially designed lids, easy-carry handles and durable construction. Just what you ordered. All metal components on this cooler are made from premium stainless steel. This prevents the screws and hinges from rusting or eroding over time in salt-water environments.